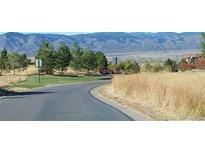 Below you can view all the homes for sale in the Kentley Hills subdivision located in Highlands Ranch Colorado. Listings in Kentley Hills are updated daily from data we receive from the Denver multiple listing service. To learn more about any of these homes or to receive custom notifications when a new property is listed for sale in Kentley Hills, give us a call at 720-606-6881. Lovely custom home in spectacular community. MLS#5409127. Keller Williams Executives. Come see this home today! Don't wait. MLS#4013180. HomeSmart Cherry Creek. Sold As Is. Priced reflects some needed upgrades. MLS#7512719. Brokers Guild-Cherry Creek Ltd..
You will love this incredible condo with city views! MLS#8080664. Berkshire Hathaway HomeServices Innovative RE. This home is move in ready and won't last! MLS#7583880. Brick And Mortar Realty. The front yard also has an additional water feature! MLS#6843973. McTeam Properties. New paint in and out, new roof, furnace and AC. MLS#7186946. RE/MAX NORTHWEST INC.
Easy Access to I-470, 25, DTC and Park Meadows. MLS#7835025. Keller Williams Executives. Affordable Colorado living at it's best. MLS#6989714. BANYAN REAL ESTATE LLC. 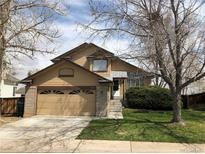 This home is conveniently located near Highlands Ranch Rec Centers, shopping, favorite grocery stores, delicious dining options, Douglas County Schools and so much more. Move right in! ! MLS#3744515. Buy-Out Company Realty, LLC. The basement is finished with additional unfinished storage space and a half bath. MLS#3712306. Colorado Home Realty. Other bonuses include: Cul-de-sac location, open floor plan, hardwood floors...HURRY! MLS#8056949. RE/MAX Unlimited Inc.
Open House Saturday April 20th from 1-3pm. MLS#6771675. HomeSmart Realty Group of Colorado. Fortunate homeowners will overlook entire community from this marvelous estate. August 2019 delivery! MLS#4865191. Keller Williams Executives. 4 state of the art rec/social centers w/ swimming pools, tennis, trails, parks! MLS#9405079. RE/MAX Professionals. Own this amazing home in Highlands Ranch! MLS#6605391. Your Castle Real Estate Inc.
*Fabulous 5 Bed, 4 Bath 2-Story On Quiet Cul-De-Sac Lot Featuring mountain Views & Fully Appointed Mother In Law Apmt In Basement*You'll Love The Open Design With Lots of Natural Light*The Remodeled Gourmet Kitchen Includes Soft Close Cabs, Deep Basin Sink, Lots Of Storage & Serving Station w/ Sink*Other Recent Updates Include Newer Windows, Carpet, Furnace, Paint, Lighting, Hardware & A Modern Master Bath w/ Tile Shower & Glass Doors*Besides Spacious Living & Dining Rooms, The Main Floor Gives You A Great Family Room w/ Cozy Fireplace, Plus An Office or 5th Bed & Nearby 3/4 Bath*Huge master Suite w/ Vaulted Ceilings & Bonus Area*Home Is Perfect For Multigenerational Living Or Renting Out Basement As It Has A Full Kitchen & Separate Entrance*Beautiful Backyard w/ Trees*Relax & Take In Sunsets On The Deck*Sand Creek Elementary Is One of The Best & Just Up The Street*Nearby Access To Trails, Parks & Rec Centers*Truly a MUST C! MLS#1958307. Posh Properties Denver. You are sure to love this home! MLS#8630531. RE/MAX Professionals. This home has a wonderful location next to the Highlands Ranch mansion and miles of scenic hiking and biking trails. MLS#9444574. RE/MAX Professionals. Enjoy Colorado sunrises from the east-facing deck and patio overlooking open space! MLS#7749102. RE/MAX Professionals. This home also features plantation shutters, a newer furnace, hot water heater, AC and roof . MLS#9304205. PINETTE REALTY GROUP LLC. This lovingly maintained, turn-key ready home includes plantation shutters throughout, newer furnace (2015), hot water heater, water softener, roof, attic fan, Anderson doors, 2-car attached garage, large fenced yard and deck with dedicated gas line to included grill. Private neighborhood pool. MLS#7064906. Kentwood Real Estate Cherry Creek. Community perks include 4 rec centers with pools, tennis & fitness. MUST SEE! MLS#8816116. HQ Homes. Convenient to parks, trails, shopping and dining, the location can't be beat! MLS#7845763. COLDWELL BANKER RESIDENTIAL 24. New stainless steel kitchen appliances, newer roof (2012), newer Hot water heater (2015), newer windows throughout, exterior paint (2013), lots of storage and mountain views from 3 of the bedrooms. Blue Ribbon Schools! MLS#5903885. Brokers Guild-Cherry Creek Ltd..